Repaint your entire rental property and get higher rents and rented sooner. Rental property repainting needs to be done within a small window of time and we endeavour to react quickly to rental property repainting needs. We will work later into the evening to get your rental property repainted sooner so it is vacant for the least amount of time. 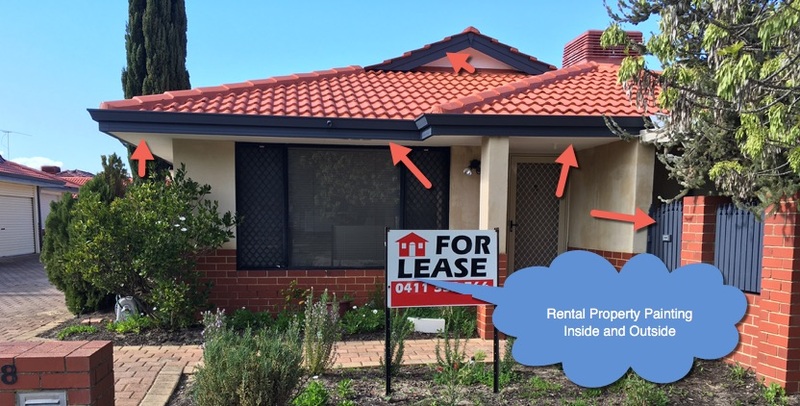 We've seen how quickly a freshy painted rental property rents and for more rent time after time with the work we've done for numerous property management companies. We still apply our highest quality workmanship to all jobs we do but undertstand investors are extremely profit focused. By working with property managers who provide us with regular work throughout the year, we aim to be sharp on our pricing so everybody wins. Note: As a builder for the past 25 years, I am able to do many of the repair and maintenance tasks often required in a rental property saving you time and money.